Late yesterday January 20, 2016 PLEA received word that the attached PDF was floating around the Department without any context being provided. Along with the agreement, it seems that there are a number of rumors, inaccuracies, half-truths, and just straight up lies as to what has actually been agreed to. 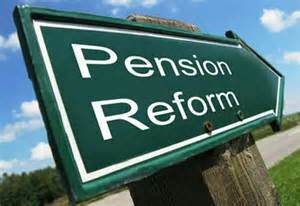 The following is detailed and ACCURATE information as to the pension reform agreement. For starters, PLEA Treasurer and Phoenix Police Pension Board Trustee Will Buividas has been providing routine updates as to the health of PSPRS and what must be done to make the system solvent. Unfortunately, doing nothing is not a viable option. Let’s put it this way: over the last few years, the amount that the City has had to put into PSPRS is the equivalent of giving every Officer on the Department a raise of over 30%. This is real money that could have gone into your paycheck instead of being forced to take concessions. For current employees (hired BEFORE 2012) and retirees there is only ONE change. Permanent Benefit Increase, more commonly referred to as the cost of living allowance (COLA). Currently, the law states that a permanent benefit increase (PBI) of up to 4% of the AVERAGE PSPRS pension is paid out when there is enough money in the excess earnings account to pay the PBI. Money flows into the excess earnings account when the fund earns over 9%. Half of the return above 9% then goes to fund the PBI account. This creates a situation that acts as a governor on the system preventing it from being able to fully recover from any downturns. The Board of Trustees has addressed this by reducing the risk in the portfolio so that going forward for years and possibly decades the fund WILL NOT earn over 9%. This means that NO PBI’s will be paid out for the next several years / decades and the city’s contribution rate will continue to increase significantly. 4% X 0 = zero any way you slice it or no increases for retirees. Under the new plan retirees and current employees when they retire will get a COLA EVERY year. The new COLA will be tied to Phoenix / Mesa consumer price index (CPI) and will be a maximum of 2%. So if CPI is 2.25% the COLA is 2%. If the CPI is 1.75% the COLA will be 1.75%. This will occur regardless of what happens to the earnings of the fund for that year. Also, since this COLA will be tied directly to YOUR pension it will be a true 2%. For Phoenix Officers this means that the amount lost each year in the COLA will not be as great as others because our retirees have the HIGHEST pensions in the state and some will actually receive a larger COLA than before. This occurs because even with the concessions, we are still the HIGHEST paid Police Officers in the state. The above is the only change for YOU. This is the ONLY item going to the ballot. The rest of the bill deals with new hires and fixing some problems encountered from the 2012 changes. Next group: Hired between 2012 – 2017. They will have the same COLA structure as above. For those whose agency doesn’t participate in Social Security (Phoenix doesn’t), they will get a deferred compensation plan on top of their pension to make up for losing DROP. Ultimately, it will be a 3% / 3% split where the City contributes 3% and the employee contributions 3%. For the first couple of years of the plan the City will contribute more and the employee will contribute less since they are not getting the full 25 years in the plan as the new hires will be. Those two items are the ONLY changes to this group. New Hires: 2017 – forward. There are many changes to this group. Lots of compromises had to be made by all stakeholders to get a deal done. Ultimately, we were able to keep the multiplier (still get 80% at 32 years) and the high 5. You have to remember that the Republicans control both the House, Senate, and Governor’s seat. There were many on the other side of the table that wanted a straight 401K style plan for new hires. That WILL NOT be happening. Optional 401K plan: There is an option (the employee makes the choice) for a 401K style of plan where the City puts in 9% and the employee puts 9%. Again this is purely optional and a choice for the employee. There are two reasons this is good. One is if you come onto the job later in life and only plan on working 10 years, you will never receive a pension and all you receive back is your contributions that you put in, plus 2%. Someone in this situation would be better off in a 401K style of plan. The other situation is that numerous studies have shown that with this incoming generation into the workforce, “the millennials” desire to be more mobile than previous generations. If someone is coming here and only plans on working 5 years and then go to school etc. they are also better off in this type of plan. Again, this is completely optional. Must work 25 years (already in place since 2012). 5 year final average salary calculation: This remains the same as it is for all employees hired in 2012 or later. Multiplier remains the same as long as you work 25 years which is 2.5% X years of service or 62.5% at 25 years and 80% at 30 years. This is the same it is today. However, as long as you have at least 15 years of service and meet the 55 age requirement you can collect a reduced pension with a reduced multiplier. This is an IMPROVEMENT from today as those hired since 2012 and leave before 25 years of service are not eligible for any pension. Must be 55 years old to start drawing a pension. This is an increase from the current 52.5; however, other states around us are now up to 57 years old to start collecting for new hires. Also, there will be an option (like there is for Social Security) that someone who meets the 25 years of service requirement could begin collecting a reduced pension at 52.5 years of age if they so desire. Same 3% / 3% deferred compensation plan that the 2012 – 2017 people will be getting. This is in addition to their normal pension and is meant to offset the loss of DROP. This is an IMPROVEMENT from the current structure where they get nothing. 50 / 50 split of contributions. Each side will pay 50% the contribution rate. This is a change as now the employee pays a fixed rate. It is important to note that they will be only paying based of what happens in Tier 3. They will not be paying for OUR unfunded liabilities, so there rate will be around 9% or so. COLA: The COLA is the same as above; however, if the funded ratio for tier 3 gets below certain points then the COLA gets reduced and/or eliminated. There is also a 7 year wait or be at least 60 years old to begin receiving the COLA. This applies to tier 3 only. Pensionable pay cap: $110,000 cap on pensionable pay. This will be adjusted on an on-going basis to keep up with inflation / wage growth. The legislators are tired of seeing management personnel leaving with what is in their opinion, excessive pensions and DROP accounts. They wanted it capped at $90,000 a year to start. We got to the $110,000 number because we looked at first line supervisors for both fire and police and wanted to make sure that is was above their current salaries. Those are the nuts and bolts of the pension reform package. There are other little things relating to governance, like Fire and Police will get half of the seats on PSPRS which previously has been controlled by the employers etc. Also, for the tier 3 people one change from the attached document is that the tier 3 pension will be the default choice not the 401K type plan if they fail to make a choice in the first 90 days of employment. Did we get everything we wanted? No. Did the other side get everything they wanted? No. In the end we have an agreement that fixes the structural problem with PSPRS and enables us to provide a pension system that will remain solvent and be able to provide benefits for future generations of employees. I would say that there is a lot in the new tier 3 that makes it better than the current tier for those hired in 2012 or later.